WHY AMERICANS ARE SKEPTICAL ABOUT CRYPTOCURRENCY – Glitch Pix – News Updates! Only about eight percent (7.5%, to be exact) of Americans currently own cryptocurrencies. This leaves about 92 percent who choose to distance themselves from digital money. The most popular choice is Bitcoin, which accounts for more than 5 percent of the US population, while Ethereum comes in second at 1.8 percent of owners. Meanwhile, most small and medium sized-enterprises in the UK (around 35 percent) feel that cryptocurrency transactions will become the norm, within the next two years. This stark contrast begs the question. Why are most Americans being increasingly skeptical over the cryptocurrency rush while it is being purchased in droves, the world over? The survey found that men are twice as likely as women to purchase cryptocurrency. Only 4.27 percent of women reported owning digital coins, compared to over 11.8 percent of men, who said they own some stake in cryptocurrencies. The amount women invested into Bitcoin was also significantly lower, as compared to men, which stood at $1800 for women and $3929 for men. As with everything else related to technology, cryptocurrencies are dominated by millennials. Around 17.21 percent of millennials own digital currencies, compared to about 8.75 percent of GenX and only 2.25 percent of baby boomers, who claimed owning some Bitcoin. Even among those who haven’t purchased cryptocurrencies, 11.52 percent, 10.30 percent and 3.81 percent of millennials, Gen X and baby boomers, respectively, plan on purchasing bitcoins in the future. 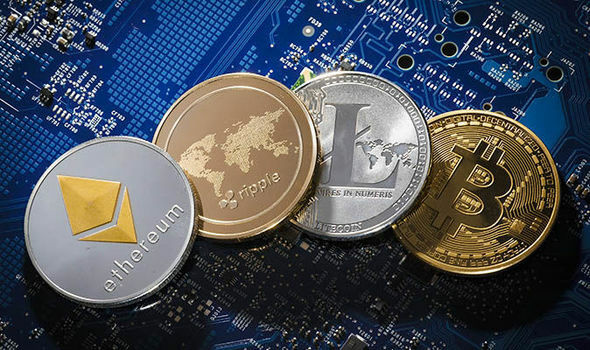 The reasons cited by those who didn’t buy cryptocurrencies come down to widespread paranoia, high transaction fees and not being able to come to grips with digital coins. When Bitcoin was first introduced into the market, its machinations were shrouded in mystery. Consumers generally assumed it was simply the domain of tech-savvy programmers, software engineers and unethical hackers who aren’t up to no good. That has since changed significantly, thanks to the soaring value of Bitcoin (and cryptocurrencies in general). There is no doubt that cryptocurrencies are volatile and since the peak in mid December, bitcions lost more than half their value. Bitcoins are so volatile that they lost as much as $10 billion over the course of a given day in market capitalization, and gained as much, the next day. Of course, this isn’t to say the fiat currencies don’t experience the same; they just don’t lose billions of dollars in market cap overnight. Not knowing the basics of cryptocurrencies also plays a big part in wide scale adaptation of bitcoins in the market. The general public does have access to the technology, but has little in the way of knowledge and understanding. This educational gap is one of the biggest reasons why few people are adopting bitcoins. There is no one regulating cryptocurrencies, which is both a blessing and a curse. In the wake of major scams related to cryptocurrencies and ICOs (bitconnect, anyone), Facebook, Google and governments worldwide have engaged in a crackdown on the cryptocurrency market to protect gullible investors. This only fuels the paranoia among potential consumers who could have otherwise hopped aboard the Bitcoin craze. PREVIOUS POST Previous post: HOW TO MAKE OUR ADVERTISING MORE NOTICEABLE IN NEWSPAPERS? NEXT POST Next post: WHY NEW BUSINESS OWNERS SHOULD ASK AND LISTEN MORE?